SurveyMonkey is an online survey software that helps you to create and run professional online surveys. It is very powerful and a well known online application. 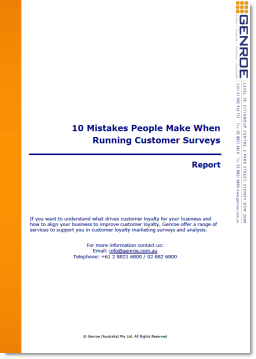 Surveys are important to collect feedback, opinions, criticism and suggestions from the general public and customers. In the past surveys were normally printed and passed on to people to complete. With the introduction of online surveys collecting feedback became very easy as the manual element of the collation process was eliminated. There are a number of competitors in the online survey space but SurveyMonkey is perhaps the best known and most widely used. SurveyMonkey is on par with the industry standards, but adds a lot of other features that makes collection and analysis of data extremely simple. SurveyMonkey presents all the tools necessary for you to create strong, professional surveys easily. The exact feature is dependent on which of the four pricing plans you choose. However, if you’re just starting up with online survey tools and you are trying to figure out the best one, you can opt for the free pricing plan that gives you access to the basic tools needed to create great surveys. The basic plan allows you to have only 10 questions per survey with a maximum of 100 responses per survey (you can have unlimited questions and responses per survey in the premium plans). Using the web interface, you can choose from 31 survey templates (or 51 in premium) and 15 types of questions. The questions you can add to your survey span three categories – close-ended, open-ended, and descriptive. You can have single answer, multiple choice with multiple answers, rating scale, and 3 matrix type questions in the close-ended category. Single textbox, multiple textboxes, essay box, numerical textboxes, demographic details, and date/time box options can be chosen from the open-ended questions. This is more than sufficient to create high-quality professional surveys for your users. The tool also allows you to set answer choice randomization, present a survey completion bar, add auto numbered pages, provide options to make questions require answers to proceed and control data input by validation (users cannot enter text in a numbers only box). Premium plans also give you more customization options like adding a custom “Thank You” page and generating a printable PDF version. Without proper collection and analysis functionality survey software is worthless. SurveyMonkey performs well on both counts. The survey can be administered/sent to users via a number of ways – e-mail, web link, Facebook, embed link on web page, link via Twitter, and website pop-ups. Enhanced security is possible with premium plans. Analysis happens in real time. Results are viewed as respondents complete their surveys. However, if you would like to download and keep a copy of the survey and the results, an upgrade to premium will be necessary. A premium account gives you access to multiple custom reports, response download, custom chart creation and download functionality, and options to share responses. The basic plan has all the features you need, including 24×7 customer support. It’s fast, easy to use, and reliable. You can always try, and only upgrade when the need arises.